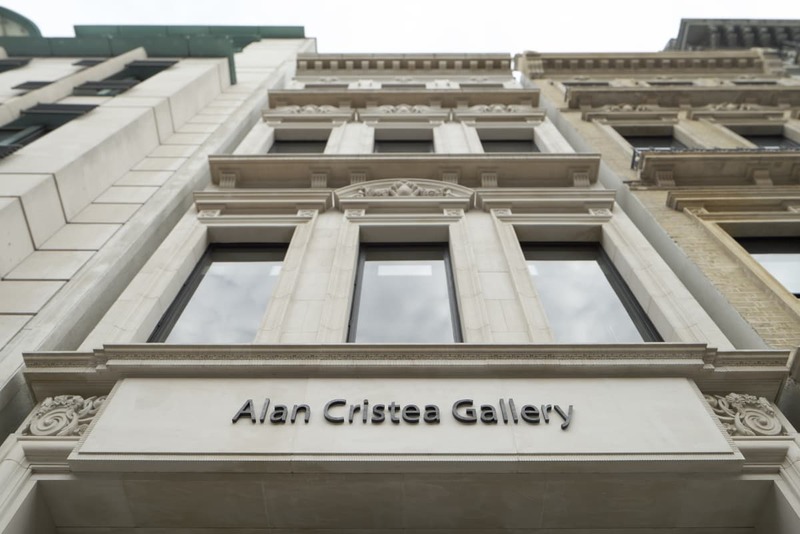 The Alan Cristea Gallery, established in 1995, is one of the world's largest publishers of original contemporary prints and editions, and the primary representative for a number of renowned contemporary artists, artists' estates and emerging artists. The gallery's ethos is artist-led and its principle objective is to assist artists in bringing new bodies of work to fruition, including editions, works on paper, paintings, sculpture and installations, which are presented in a continuous programme of public exhibitions, events and art fairs. Alan Cristea began his career in 1969 at the print-publishing arm of Marlborough, London; here he came into contact with some of the most influential artists working in Britain at that time - artists such as Henry Moore, Francis Bacon, Ben Nicholson, Barbara Hepworth, as well as a younger generation, among them Frank Auerbach, Joe Tilson, R.B. Kitaj and Allen Jones. In 1972, Cristea took charge of Leslie Waddington's print gallery on Cork Street, to work with an existing stable of artists that included Peter Blake, Patrick Caulfield, Terry Frost, and Patrick Heron, who were soon joined by Tilson and Jones. At Waddington Graphics Cristea formed enduring relationships with the most important artists of their generation including Richard Hamilton, Howard Hodgkin and Jim Dine, and oversaw an international print publishing programme with a roster of artists such as Roy Lichtenstein, Frank Stella and Robert Motherwell. Drawing on his own personal passion, Cristea also established Waddington Graphics as the leading gallery for master graphics by Pablo Picasso, Henri Matisse and Georges Braque. In 1995, Cristea bought Waddington Graphics and, with co-Director Kathleen Dempsey, formed his own eponymous gallery. He was joined by David Cleaton-Roberts in 1998, and in 2006 they doubled the size of the gallery, expanding into the adjoining building in 34 Cork Street, and inviting Helen Waters to join the senior team. Considerable expansion led the gallery to relocate to new, larger, bespoke premises in 2016. In October of that year the new gallery, designed by Stephen Marshall Architects and project-managed by Dempsey, reopened at 43 Pall Mall. Cleaton-Roberts, who works closely with the gallery's represented estates and foundations, oversees the sales team and the gallery's international art fair programme. He holds the position of vice president of the International Fine Print Dealers Association (IFPDA); chairs the Paintings in Hospital Collection Committee and is a patron trustee of Jerwood Gallery, Hastings. Waters, a former curator at the National Museum of Wales, Cardiff, and the New Art Centre, Roche Court in Wiltshire, has developed the gallery's artist and exhibition programme, curating numerous exhibitions and writing catalogues, both for the gallery and for external institutions. Since opening, the gallery has commissioned hundreds of editions by artists, whilst also representing many of them for their unique works. The directors and their team continue to use their expertise to build relationships with some of the most important artists and estates of the twentieth and twenty-first centuries.